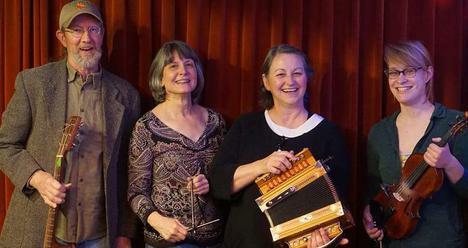 The DL Cajun Band plays Cajun music from the prairies and bayous of SW Louisiana: two steps, waltzes, blues with Cajun accordion, fiddle, guitar, triangle, snare, bass and French vocals. The group draws from the time when the Saturday night dance was the community’s main form of entertainment and socialization. Before electricity and amplification, the acoustic instruments and voice were the only way of making music. This band seeks to recall that time and feeling in its music. Doug is a veteran of the Twin Cities Cajun music scene, having played with the Bone Tones starting in 1989. He also played bass with the New Riverside Ramblers from 2002 to 2016. Both Ramblers recordings, Saute le Barriere (Jump the Fence), 2004, and Les Grands Bois (The Big Woods), 2009, won awards from the Cajun French Music Association for the best recording by a band from outside Louisiana. Doug is also known professionally as Armadillo Sound and Design, managing sound systems and crews for many of the Midwest’s biggest music festivals. Shawn is a recipient of the John Hugelin Cajun Music Scholarship and has study Cajun music at the Augusta Heritage Center of the Davis & Elkins College in Elkins, WV and the Balfa Week Instructional Camp in Lafayette, LA. Her love for Cajun music grows each day. Marie is also recipient of the John Hugelin Cajun Music Scholarship and has study Cajun music at the Augusta Heritage Center of the Davis & Elkins College in Elkins, WV and the Balfa Week Instructional Camp in Lafayette, LA. As a long time member of the Twin Cities music scene, Dawn has worked extensively with the Ethnic Dance Theater. 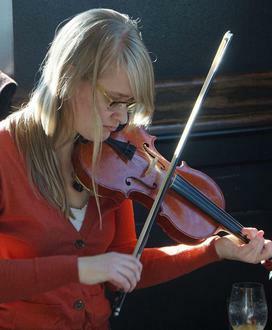 In 1998, she first played triangle while on tour in France with EDT. She also played snare with their swing music ensemble. 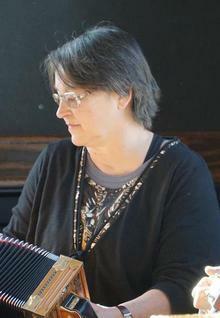 She developed a passion for Cajun dancing, and finally back to playing in 2005.